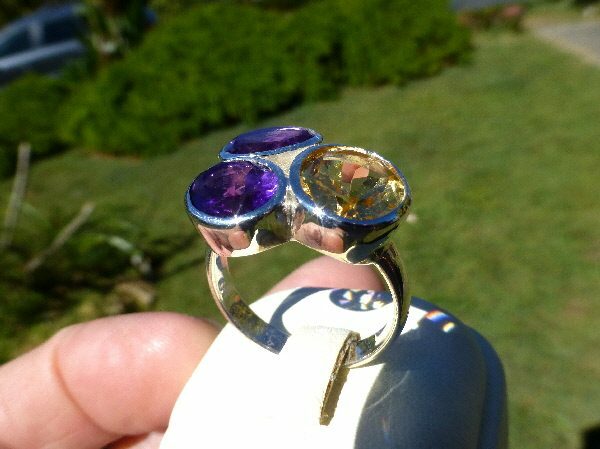 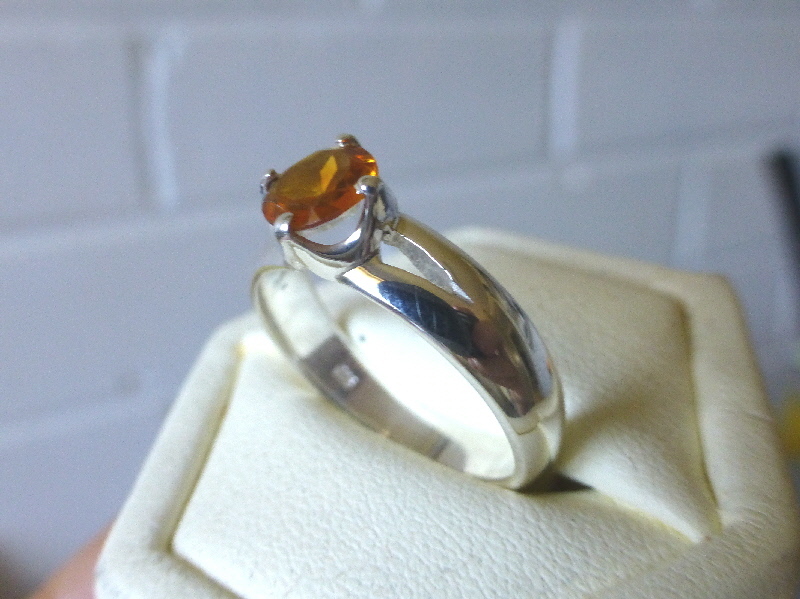 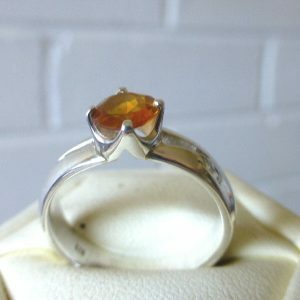 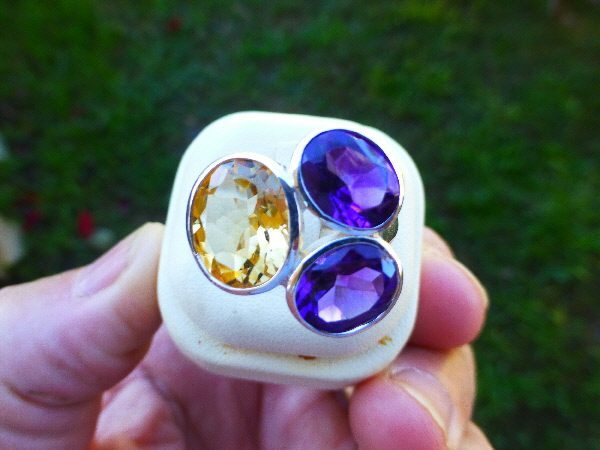 This bright, bold Silver ring is set with 2 x 10mm oval Amethyst stones and a 12mm Citrine facetted stone. 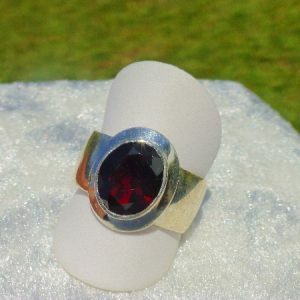 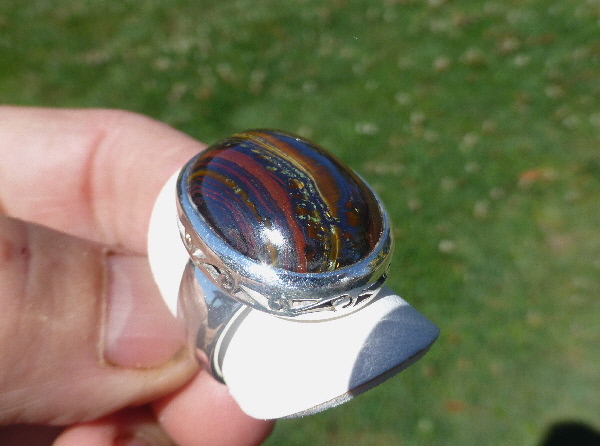 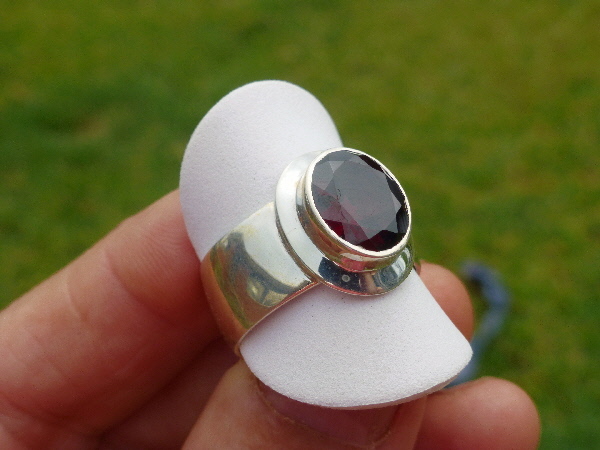 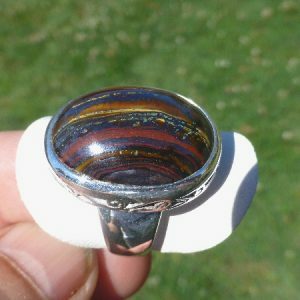 Good strong colour and robust design, this ring quite a showpiece on anyone’s hand. 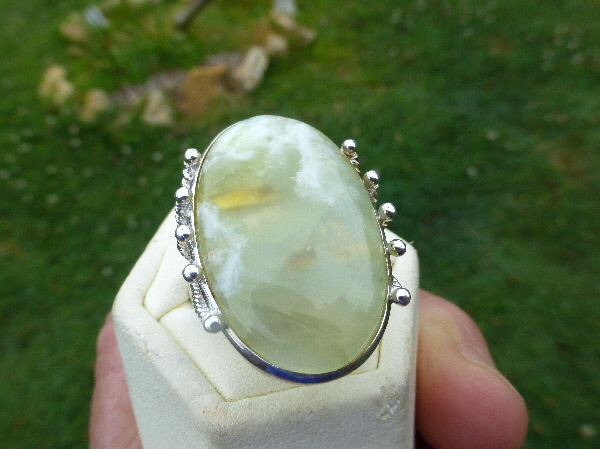 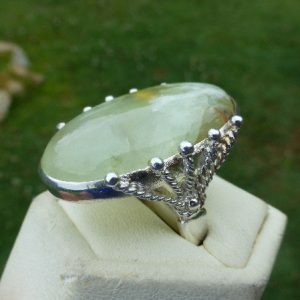 Stone sizes: 2 X 10mm oval, 1 X 12mm oval.